Discussion in 'Lenovo (IBM)' started by ibmthink, Sep 2, 2015. From a quick look at the specs: Note that the Yoga 460 is the first non-X1 ThinkPad with a 14" 2560x1440 screen. 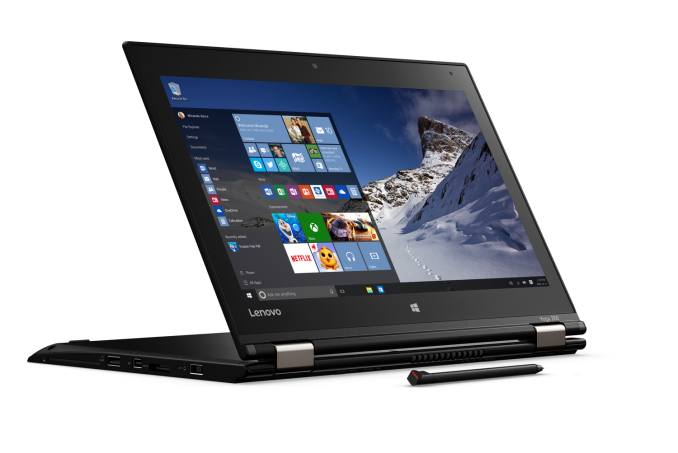 Also, Yoga 260 is much lighter then the Yoga 12, and its also the first Yoga with WWAN. Marty, Allarih, thatcomicsguy and 4 others like this. The thinkpad pen pro currently listed on their website is the AAAA requiring one. Judging from that it's a wacom AES pen in these new ones, which are also labeled as thinkpad pen pro in those spec sheets. I'm with Wells. Can you get any clarification as to whether these units will function with a pen, and will they be available with RealSense? Will this happen upon release, or another fumble like with the TPY15s. WinCentral says they come with 'rechargeable pen'. They pen kind of looks like it might fit a silo?! Please? Edit: 99% certain that that's the silo in the lower left of the image. The pen buttons still look impossible to locate and press though. Why have those perfectly flush? Edit 2: also new (on the TPY, right?) fingerprint reader! "Should be out in October"
tazcubed, Bronsky, thatcomicsguy and 3 others like this. I'll believe it when I see it. The last time i went nuts trying to confirm the originally posted weight, and in the end the weight was identical to the first gen TP Yoga. That said, they seem to have listened to a couple of things, so who knows! Looks like the 260 has a silo as well, at least based on the shape of the pen. Awesome! Is that a full size pen? It looks tiny in the photo.